Heavily Soiled Carpet Saved in Shamong & Mt Laurel- Special Wands Come to The Rescue! This So Jersey homeowner has her hands full. No question she had a really dirty carpet. But, with a house full of grand kids, and a busy full time job she needed help. Her call was genuine! Knowing her story we jumped in to action. Would the cleaning help? We believed it would, but a little pixie dust and fingers crossed wouldn’t hurt! First off, not all carpet cleaning is the same. In knowing that, professional carpet cleaners invest in a variety of tools, wands and cleaning solutions for a variety of possible soiling problems. Yes, the average carpet cleaner can clean the carpet using a regular wand, but soiling such as this will not be fixed with a regular wand. For this reason we have on board highly specialized tools that are suitable for heavy soiling. When choosing color keep in mind that exterior soiling may find its way inside and distort the carpet appearance. Dirt from the exterior grounds, oils from roads or oil puddles in your garage may be a culprit. Or, dust, oil, pollen, moss or discoloration from the air, side walks, decks, exterior landscaping or even a pool can be walked in and deposited on the carpet. Likewise, interior soiling assaults are common with impacts from the family dynamic, lifestyles or behaviors. Examples may include common food & beverage, pet issues, foot traffic, practices of carrying food or drinks on carpeted surfaces, frequency and fallout from entertaining, cleaning practices, or lack thereof, etc. For this particular homeowner, the combination of grand kids living in the home carrying, eating and drinking was little match for the vulnerable mauve carpet. Without getting into an argument about what we feel is the best way to clean, we prefer to defer to our Industry Experts and those who have shaped and guided our industry. Most notably, some years ago systems of cleaning were studied in a research laboratory and the results were categorized. Without question there is no comparison. Hot water extraction by far out cleans & restores carpet more thoroughly, and is categorized as the only RESTORATIVE METHOD available given technology today. All other methods achieve only an INTERIM result, or as we like to say an ‘in-between’ or mediocre result. WARNING- all limited moisture, or those labeled dry methods achieve an interim result, or one less thorough than with restorative hot water extraction cleaning. With the results proven, or the writing on the wall, our preference is for hot water extraction, utilizing a truck mount extraction machine. This system takes cleaning power to exponential levels over the interim methods. Frankly, this cleaning will, all day long out clean what can be achieved with most portables (home machines consumers rely on, portables rent able at the grocery, hardward and box stores.) used to steam clean. But beyond the system and equipment professional carpet cleaners use, there are other tools and tricks up a professional’s sleeve and put on board to increase the cleaning success as noted below. While most homeowners don’t care about what wand is used they just want clean carpet, it should be known that not every wand is everything in every situation. This particular soiling needed extra TLC, and we think folks appreciate it when they learn specialty wands can get the job done when all hands on deck are needed! THE RX-20- For years this super wand on steroids has been the go-to for heavy soiling. Understanding how it functions is impressive, so if you have advanced soiling you will appreciate what it does for you. The RX-20 wand is a hybrid, looking much like a janitor’s buffer (floor machine). Additionally it has 5 rotating which are jet ports that spin and scrub independently. Similar to a lawn sprinkler with jets that spins, this increases the cleaning power over the single wand jet that a basic wand cleans with. For the professional carpet cleaner who invests in technology to help with cleaning, this is a no-brainer. And once the outlay of about $3 grand is made, the rx-20 will get the job done for years and years. Take for instance a can of coke that spilled in concentration in a small area. From a topical perspective it may seem benign, being small discoloration, but underneath it may appear like a can of coke you spill on a hard surface floor. Actually, the water content probably has evaporated, but the “colored” brown sugars and contents have dried up to a sweet gooey- brown mess. Expose the carpet to moisture with cleaning, you can actually aggravate, moisturize and enliven the dried sugars causing them to migrate up the yarn and re-infect the face fiber. 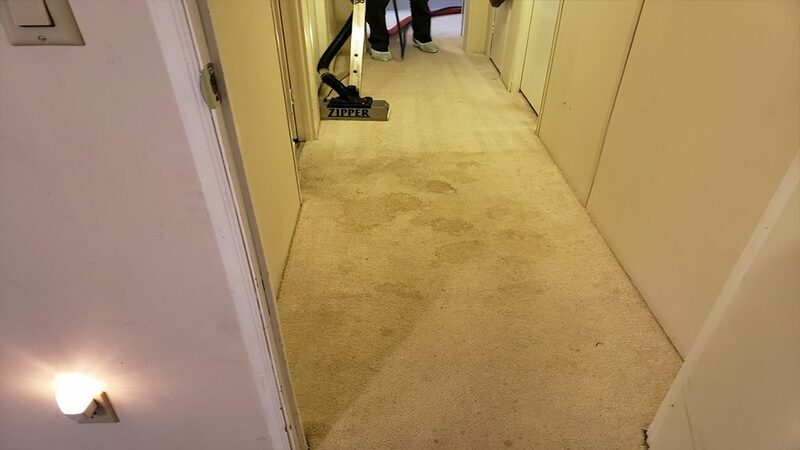 The result, the soiling at the tip level may rinse out, but as the carpet dries the sugars may re-appear, either in the same way, or it may “grow” and become bigger. This is called “wicking,” where moisture travels or wicks away from a surface- similar to layering in winter so the moisture wicks away, keeping you warm in winter despite perspiring. 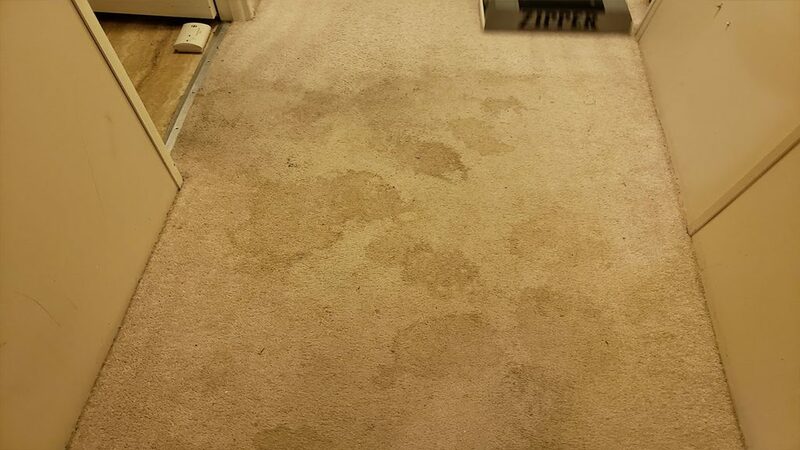 Wicking is a very real carpet condition which we work to curtail. The other option- is to peel the carpet back, rinse the trapped soiling-dried beverage residues out from the backing, padding, and even the sub-flooring. And sometimes we even re-section the pad to stop any wicking action from the pad. Having a special wand with extra drying power may be helpful in this instance. And again, the basic wand with a single tip, but with no extra extraction capability may limit the results if used in the carpet cleaning. Perhaps another choice for this soiling problem may be “The Zipper,” a specialty wand. This wand has duel extraction power, and continually extracts as it cleans. Again, a major investment, the professional cleaner parts with nearly another 3k for the luxury of owning this wand. With that said, it should become evident that having this tool on board definitely ups the cleaning power for the carpet cleaner who has the insight to offer it for the cleaning. Just like the wands used may affect the outcome of the cleaning, so will the selection of the proper cleaning agent. Not every solution is best in every scenario. Knowledge of, investment in different cleaning agents and using them in conjunction with specialty wands increases cleaning power and results, and trumps basic ho-hum cleaning provided by the “cheapy cleany” or novice cleaners unequipped for the job. For this customer we brought all assault weapons we had for the soiling. To begin with of course, was our truck mount cleaning system. But also we rolled out the RX-20. For the cleaning we applied the sophisticated pre-spray formula and raked it in (raking stimulates the chemical reaction of the pre-spray to begin attacking the foreign soiling.) After an allowed “dwell time” (a period to let the pre-spray soak, like rubbing grass stains and letting the ‘spray n wash’ activate with the spot) we ran the wand across the carpet to rinse the soiling out while also removing the solution so there is no residue. This is what is commonly seen when the wand, whichever powerful one used, passes along the soiled carpet rinsing out the dirt and soils along the way. 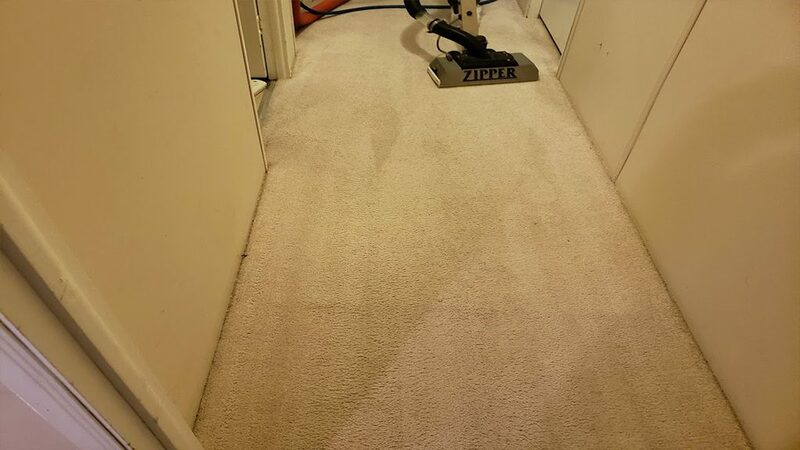 Once the cleaning was done with the RX-20 our customer came home to clean carpet and felt relief. Although her family situation was a challenge, we were and are happy to be at her assistance when she calls. Just having us as a back up for when she needs us is relieving for sure. And hopefully, as the grand kids grow or even are able to get out on their own with their parents, it will be more relieving in the future. Are you a homeowner in South Jersey & surrounding area that has heavily soiled carpets? Are you crazy busy with pets, kids and grand kids that are mess makers? If you have advanced soiling then you need advanced cleaning. Call us to discuss your project, we can certainly answer your questions and get you a free estimate. 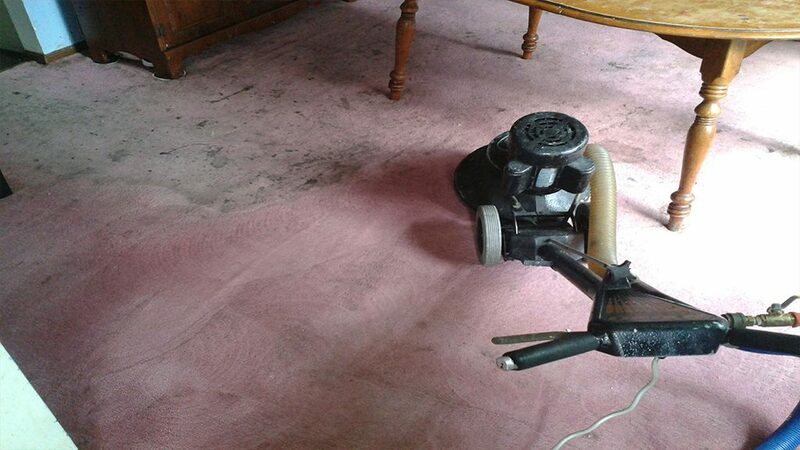 Also, we can advise you about restoring your carpets. We will give you a prescription for periodic cleaning that will help avoid the embarrassment and other impacts that advanced soiling presents to you, your family, your lifestyle, your investment and even your pocketbook. 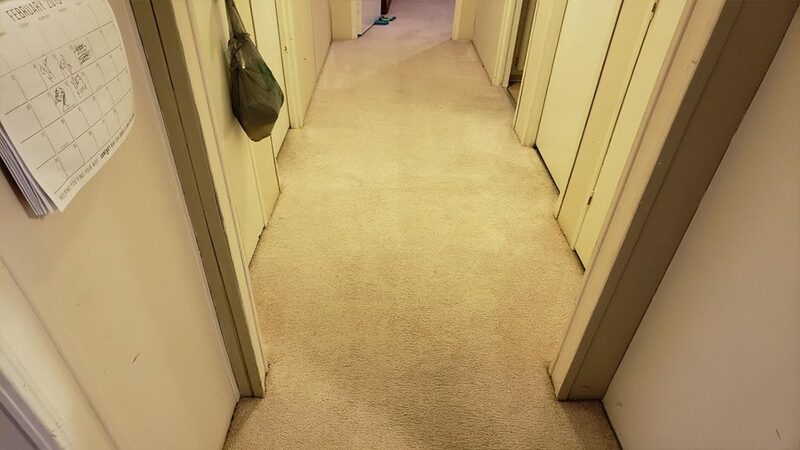 Get a free estimate, and get ready to have the best, most thorough carpet cleaning available money can buy. Whether north in the greater Princeton area, local in the Burlington-Camden County area, or located along the coast (of NJ), west to the King of Prussia area, or points south to northern Delaware and Md, we can get you coverd! Call us at 609.953.0472 or contact us online.